1,232 pages | 32 Color Illus. | 212 B/W Illus. Biocatalysis has become an essential tool in the chemical industry and is the core of industrial biotechnology, also known as white biotechnology, making use of biocatalysts in terms of enzymes or whole cells in chemical processes as an alternative to chemical catalysts. This shift can be seen in the many areas of daily life where biocatalysts—with their environmentally friendly properties—are currently employed. Drivers are the big societal challenges resulting from concerns about the global climate change and the need for an assured energy supply. Modern biocatalysis relies to a large extent on the tremendous advances in the so-called omics techniques and the structural elucidation of biomolecules, which have led to synthetic biology and metabolic engineering as new research fields with high application potential for the rational design of enzymes and microbial production strains. In this book, renowned scientists discuss the actual developments in these research fields together with a variety of application-oriented topics. 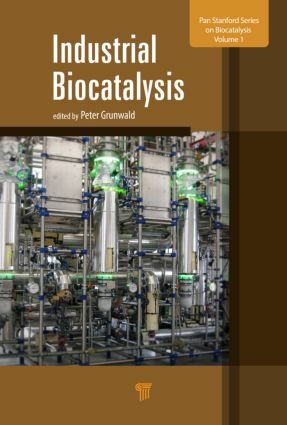 "This book provides an actual and comprehensive overview of industrial biocatalysis, written by top scientists from academia and industry. It highlights by means of many examples how biocatalysis increasingly contributes to making the different areas of the chemical industry more sustainable through fostering an ongoing development towards a more bio-based economy. The book is highly recommended to all scientists active in this field as an excellent source for further inspirations and in addition should greatly assist academic lectures in this field." Making use of newly discovered enzymes and pathways: reaction and process development strategies for synthetic applications with recombinant whole-cell biocatalysts and metabolically engineered production strains. Use of Corynebacterium glutamicum for the production of high-value chemicals from new carbon sources. Metabolic engineering for the biosynthesis of longevity molecules rapamycin and resveratrol.